The people who make Battlefield, just like many other developers across the video game industry, have heard the loot box furor loudly and clearly. The next Battlefield’s microtransaction plans remain in flux, as they are in many games until close to release, but it’s unlikely they’ll inspire as much anger as Star Wars: Battlefront II’s did. That’ll be a theme: Based on conversations I’ve had with developers at a range of major studios lately, nobody wants their game to be remembered for its loot boxes. A series of reports this week, starting with VentureBeat, have pegged the next Battlefield as a World War II game. In most years, the venue of a new big game would be its most newsworthy attribute. That’s not quite the case with a new game from EA, a company whose handling of micropayments has become major news. 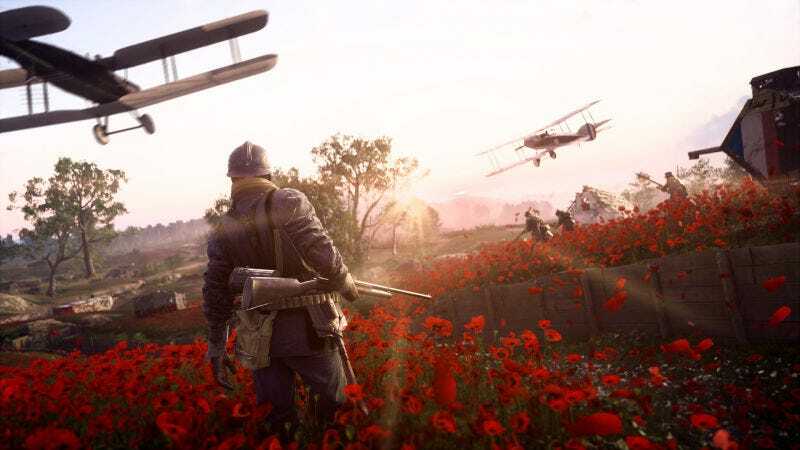 What may be of more interest to players is that the website US Gamer reported yesterday that the upcoming Battlefield will include cosmetic-only loot boxes, as 2016’s Battlefield 1 did. It’d be a major departure from DICE’s last game, the now-infamous Star Wars Battlefront II. Battlefront II, which came out last November, will be remembered forever as the tipping point of a year full of controversy over companies charging extra dollars for features in $60 games. Players grew so angry at the game’s pay-to-win microtransaction system that EA made the desperate decision, just a day before release, to temporarily pull all extra payments from the game. EA and DICE have not yet said when those microtransactions will return, but the widespread anger has led to endless punditry, statements from politicians, and a tepid reaction by the Entertainment Ratings Software Board. What may be most important, though, is how the loot box controversy has affected the people who make games. I’ve talked to a lot of developers about this subject over the past few months, from big companies like BioWare and Ubisoft as well as smaller independent studios, and the consensus appears to be simple: Tread carefully. Nobody wants to be the next Battlefront II. That might mean sticking to cosmetics only, as I’ve heard is the plan for Anthem. (Although, as with any microtransaction plan, that might change.) Or it might mean avoiding randomized loot boxes entirely, which would no doubt be a boon to many gamers. Over the past few months I’ve also talked to a few people who were involved with Battlefront II in some way, and they’ve expressed many similar emotions: frustration, depression, optimism that they can avoid making the same mistake again. Some are worried about the ramifications about politicians getting involved here. As pointed out in this great Extra Credits video, any sort of legislation that treats loot boxes like gambling might be bad news for everyone, because, among other reasons, legislators don’t often know much about the nuances of video games. Some close to EA and DICE have questioned whether Battlefront II’s microtransactions were really that heinous, but even those people, when prodded, have been willing to admit that the balance was skewed.